Luke 1:76-80, And thou, child, shalt be called the prophet of the Highest: for thou shalt go before the face of the Lord to prepare his ways; 77 To give knowledge of salvation unto his people by the remission of their sins, 78 Through the tender mercy of our God; whereby the dayspring from on high hath visited us, 79 To give light to them that sit in darkness and in the shadow of death, to guide our feet into the way of peace. 80 And the child grew, and waxed strong in spirit, and was in the deserts till the day of his shewing unto Israel. John the Baptist had a miraculous birth. He was filled with the Holy Spirit from his mother’s womb. John was a great prophet, the forerunner of Jesus Christ, and called by our Lord, the greatest man born of woman. He was a bit peculiar, no doubt about it. Not your “run of the mill” preacher that’s for sure. He wasn’t into fancy suits, socks, and ties. 🙂 While it was short-lived (more than likely, no more than 6-12 months), John the Baptist had a powerful ministry. He was eventually imprisoned and became the first martyr in the New Testament. Not a bad resume to say the least! As far as we know, John never attended Bible College. Poor guy! As far as we know, John was never mentored or discipled by anyone, except possibly his father. He definitely wasn’t in the inner circle of the religious leaders of his day. Far from it! One of the keys to the ministry of John the Baptist is that he spent the vast majority of his life alone in the wilderness getting to know the God whose message he was to proclaim! Leonard Ravenhill said on more than one occasion, Never listen to a man who isn’t listening to God. 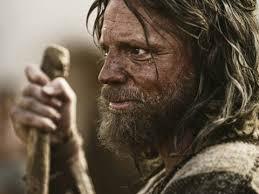 John the Baptist was a man who knew, understood, and listened to the voice of God. All of those years he spent in the wilderness were about cultivating a relationship with the living God before he publicly professed, proclaimed, and prepared the way for the Messiah. I suppose it beckons the question, how much time am I devoting to knowing the God I profess and proclaim? How about you?